- What a typical wedding planning timeline should look like and what it should include. - Current wedding trends and new traditions to consider. - Creative ways to save money which no one will ever notice (except the person writing the checks!) Your clients will LOVE you for these! - A proven method for selecting THE perfect caterer, musician, florist, photographer any wedding supplier you need. - Specifics on geography how wedding traditions differ by location. - Current trends in gift giving your clients should know. - Wedding etiquette for various situations how to handle children at a wedding, tips on serving alcohol, invitation protocol and many more! - Tips on choosing the best flowers for the bride, bridesmaids, the church and centerpieces for the reception. 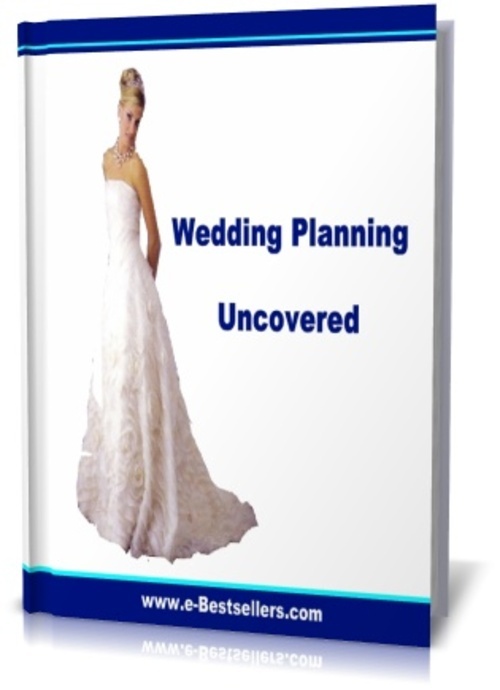 - Valuable online resources to help you plan the perfect wedding. - Save Thousands Instantly! Its like an instant coupon booklet that will let you in some major money-saving specials! Learn the secrets of planning the perfect wedding at a fraction of the cost and put more back back into your pocket, instantly! - A Day To Remember - There are no cutting corners when it comes to a girls wedding. We deserve the best! Discover the techniques used by savvy brides all over the country to impress their guests and create a memorable event unlike anything else theyve seen! Theyll think you spent a fortune on the event! - Wedding Speak.. There are things you can say when booking your events and planning your wedding that will dramatically reduce the quotes that you are given. Learn exactly how you can plan the entire event yourself, and look like youve done it a thousand times! - The Wedding Of A Princess .. Dont settle for less than you deserve. Even the most frugal bride will learn a thing or two from the Wedding Budget Insiders many tips, techniques and industry secrets! - From Top To Bottom.. From the hall, cake, flowers, to your theme! You can save money on EVERY aspect of your wedding, even the gown!